Bollywood actor Neil Nitin Mukesh is currently acting in a film titled “Saaho,” and he is playing the negative role. Prabhas and Shraddha Kapoor playing the main lead roles in Saaho. Now the latest news we hear is that Neil Nithin Mukesh has been roped to play a negative role in Bellamkonda Sai Sreenivas’s new movie to be directed by a new director Srinivas. This yet to titled film is being bankrolled by Naveen Sontineni under his Vamsadhara Creations banner. SS Thaman scoring music. 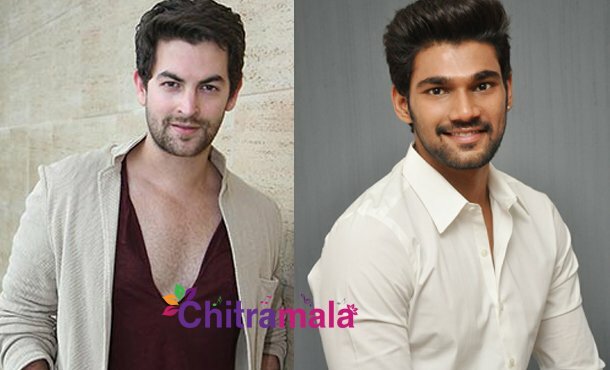 Bellamkonda Sreenivas is currently acting in a film Saakshyam in the direction of Sriwaas. Pooja Hegde is playing the female lead role opposite Sreenivas in the flick. Neil Nithin Mukesh earlier worked in a Tamil movie Kathi, in which Vijay played the lead role.